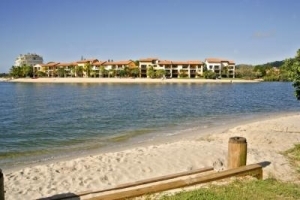 Culgoa Point Resort consists of 65 one, two and three bedroom fully self contained apartments. Each features fully equipped modern kitchen with dishwasher and microwave Private laundry in each apartment STD/OTC in dial phones with computer port Linen supplied - unit serviced weekly color television and VCR Cable television Private Sandy Beaches. Relax in the sun and fish in the waters of the Noosa River, then enjoying cooking your catch on one of the numerous barbecues at the resort. 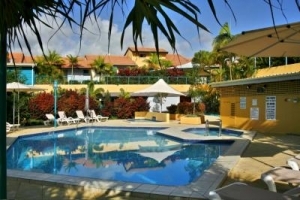 Enjoy a dip in the large heated pool, or have a hit on the tennis court. Other facilities available for your use at Culgoa Point Beach Resort include a wading pool, spa, sauna, large marine for exclusive use of guests, undercover security parking and a resident manager. Picnic on our lush lawns or relax on your own private beach.